Since the 22nd April 2014, the new Children and Family Act 2014 has made it compulsory for any person contemplating issuing Court proceedings in relation to a financial or child related dispute, to attend a Mediation Information and Assessment Meeting (MIAM). There are some exemptions to this rule, for example if there has been domestic violence or if the case is particularly urgent, but in the main, a MIAM will have to take place. Mediation is a way of resolving disputes when a separating or divorcing couple are unable to agree the arrangements for their children or are unable to agree on how to resolve their finances. Mediation must be conducted by a suitably qualified Family Mediator. We can make sure that you are referred to the right Mediator for you. Mediation can often be very useful in helping couples reach an agreement and could avoid the need for contested lengthy, and often costly, Court proceedings. If you would like a brief, free no obligation chat over the telephone we can arrange for one of our solicitors to be available at a time to suit you. Please contact us on 01536 276314 to arrange this. If you are going through a divorce and need to make decisions about your finances and arrangements for children, a useful and cost-effective option is to use mediation to help you reach agreement on these matters. At Seatons, our team of specialist family lawyers have a wealth of experience in divorce cases and offer clear, easy to understand legal assistance at low sensible fees. For more information, feel free to give us a call on 01536 276300. Mediation is a very effective way to resolve disputes without the need to go to court. The process involves an independent third party, known as a mediator, to help both sides reach an agreement. The process is treated with strict confidentiality and the decision making rests solely with the participants involved. Mediation is a voluntary process and will only take place if both parties agree. It is important to note however that Courts are increasingly expecting parties to have attempted mediation at some point in the past before issuing Court proceedings. In addition, as of April 2014, attendance at ‘Mediation Information and Assessment Meetings’ is now compulsory before proceedings can be issued in family law cases. Mediation is very effective at reaching agreements over child arrangements. Typical issues involve where the child lives, contact arrangements with the non-resident parent, schooling, holidays, financial maintenance etc. Throughout the process, you will be encouraged to look at ways to keep the child informed that you are working together, and that the breakdown of the relationship is due solely to differences between you and your partner. By choosing mediation, you will able to control the pace of the discussions along with identifying and solving the most important issues. You will be able to make the decision as to what is best for your children, not a Judge who does not know your family. Mediation is also very effective at reaching agreements over financial and property affairs. Typical issues include the family home, mortgage, rental agreements, cars, home contents, bank accounts, pensions, savings etc. The process is useful in providing each other with a comprehensive understanding of each other’s financial situation prior to any proposals reached and gives you the opportunity to seek independent legal advice before any proposals are made into a Court Order. Once an agreement has been reached, the mediator normally prepares a Memorandum of Understanding; a document setting out the proposals and agreements made. This may then be shown to a solicitor to obtain independent legal advice. The law states that every person must now first attend a M.I.A.M (Mediation Information and Assessment Meeting) before Court proceedings are issued in family law cases. There are naturally exceptions to this rule, such as circumstances where there has been domestic violence in the relationship or there are serious child welfare concerns. This list is not exhaustive and such cases will be identified on a case-by-case basis by the mediator involved. The M.I.A.M itself is an appointment with a mediator, who explains how mediation and the collaborative process works. It aims to highlight many of the more efficient and cost effective alternatives to Court proceedings and, in turn, alleviates some of the pressure from the judiciary. Following on from a Mediation Information and Awareness Meeting, if you still feel that court proceedings are necessary, a Form FM1 must be obtained. A FM1 is only valid for 4 months however, so an additional M.I.A.M must be attended to if this time frame lapses. Technically speaking, the new rules do not make mediation compulsory. The compulsory element is the attendance at a Mediation Information and Assessment Meeting. As a result, you do not have to enter into mediation following on from such a meeting. 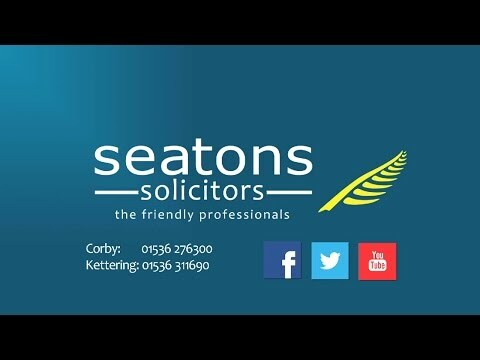 Hello, I am Sarah Chan and I am the Head of Seatons Solicitors Family Law Department in Corby, Northamptonshire. We aim to provide our clients with an outstanding legal service. We will help and support you and most importantly we work hard for you. When a court makes an order, it must be obeyed or the whole justice system collapses. In this recent court case, a brother and sister, both pensioners with a combined age of 150, were sent to prison for contempt of court relating to a big money divorce. A High Court case has shown that freedom of expression rights are not limitless and the welfare of the children concerned is always uppermost in the minds of judges. What Are My Property Rights On Divorce?